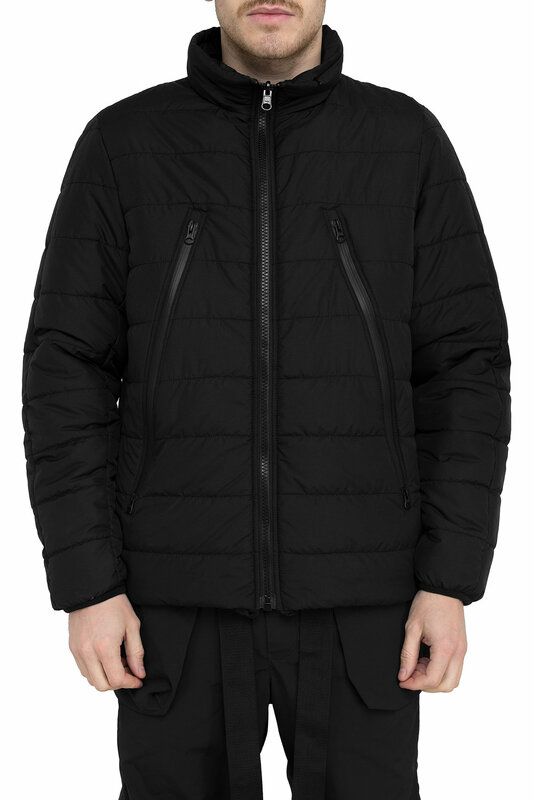 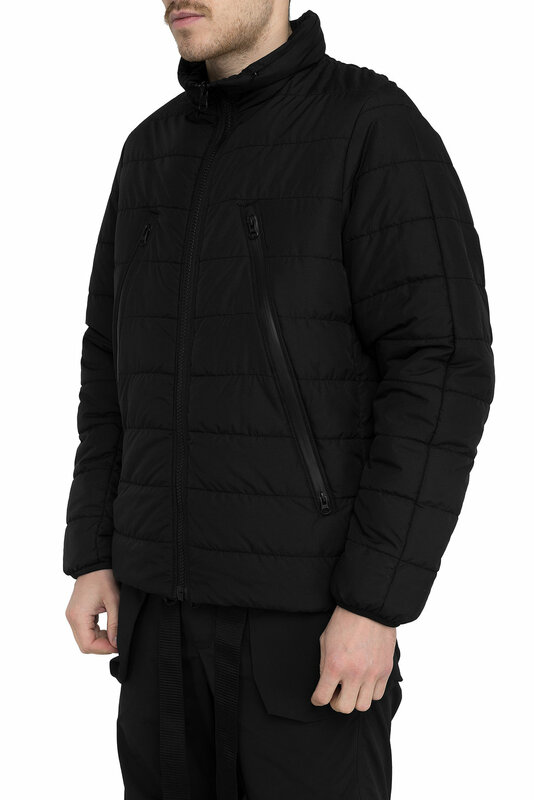 Short quilted jacket mode: two slotted pockets at the front of the jacket, a high stand collar for bad weather protection. 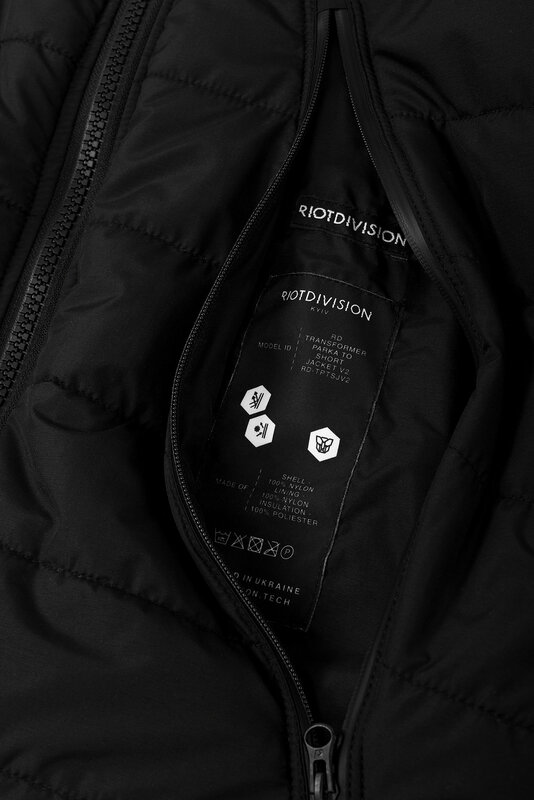 Parka mode: classic silhouette of Riot Division Parka, two large chest pockets with small compartments inside for better storaging. 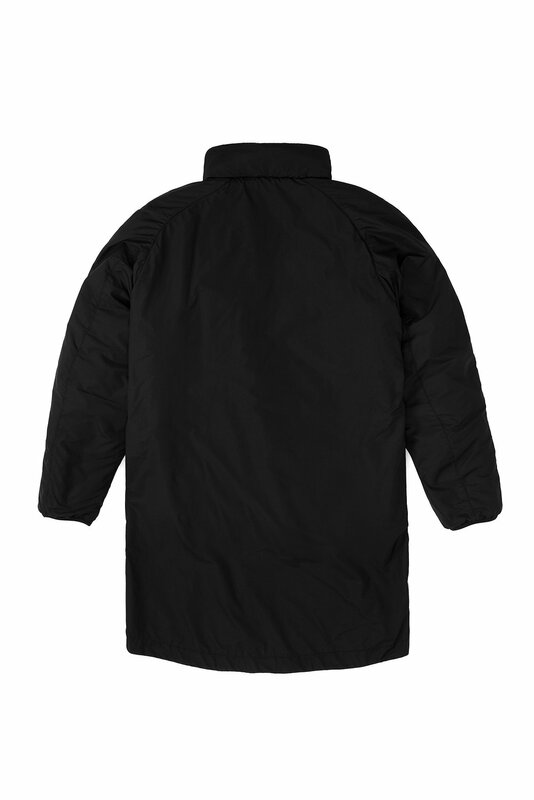 Two slotted hand pockets positiioned below. 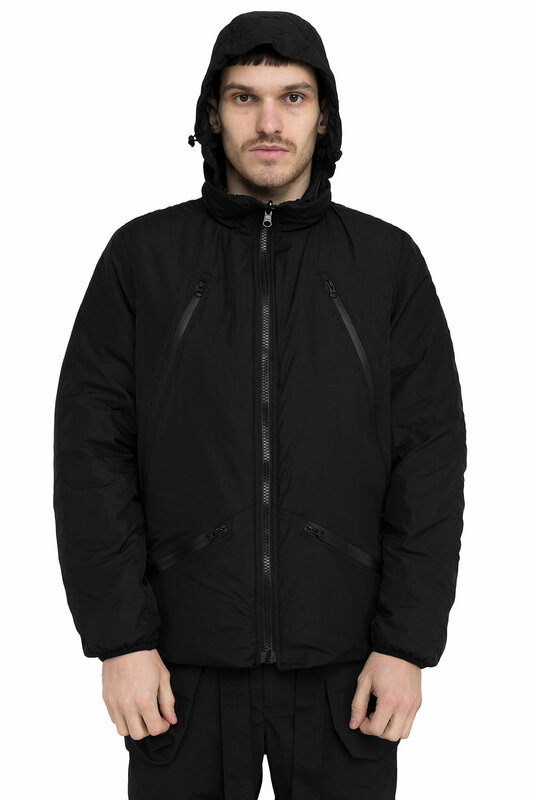 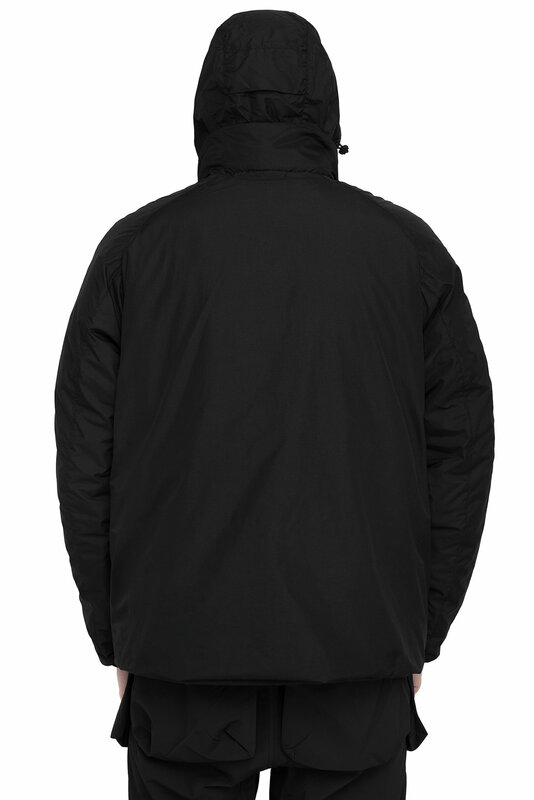 Lifted collar for nasty weather protection, hidden adjustable hood with a brim. 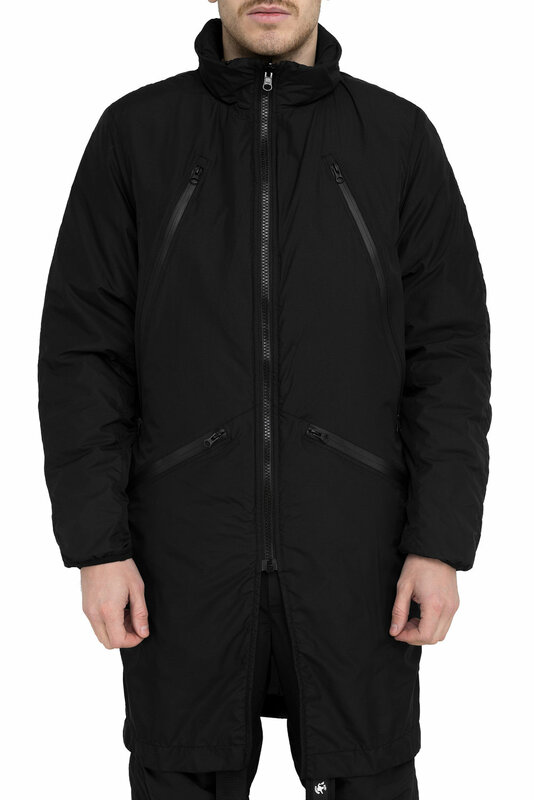 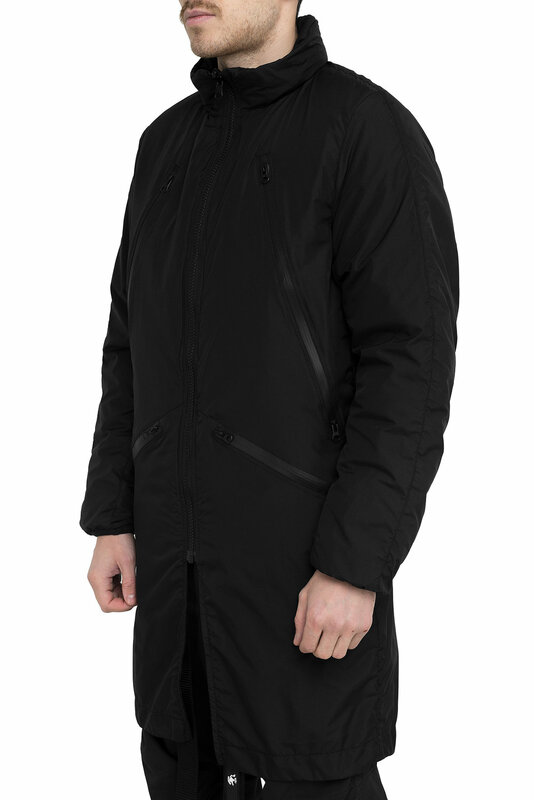 The parka can be shortened to a short jacket with hidden velcro.